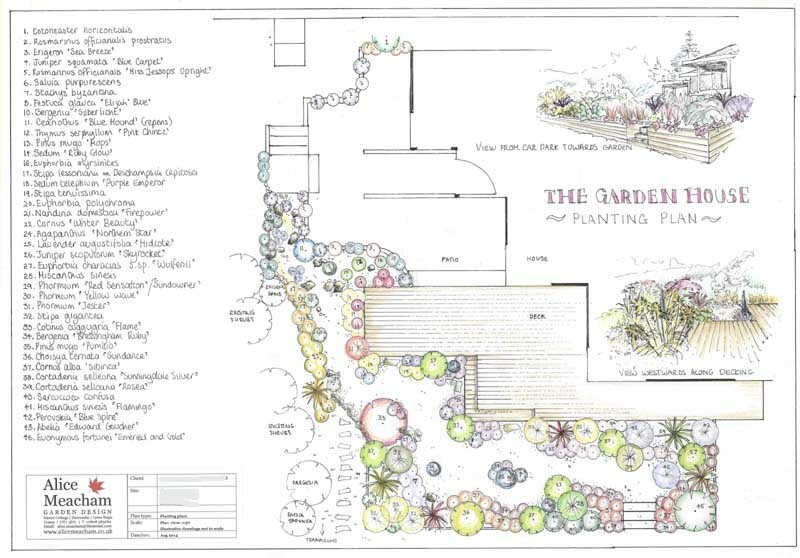 August 11, 2015 Alice Meacham Garden Design3 Comments on A modern touch…. 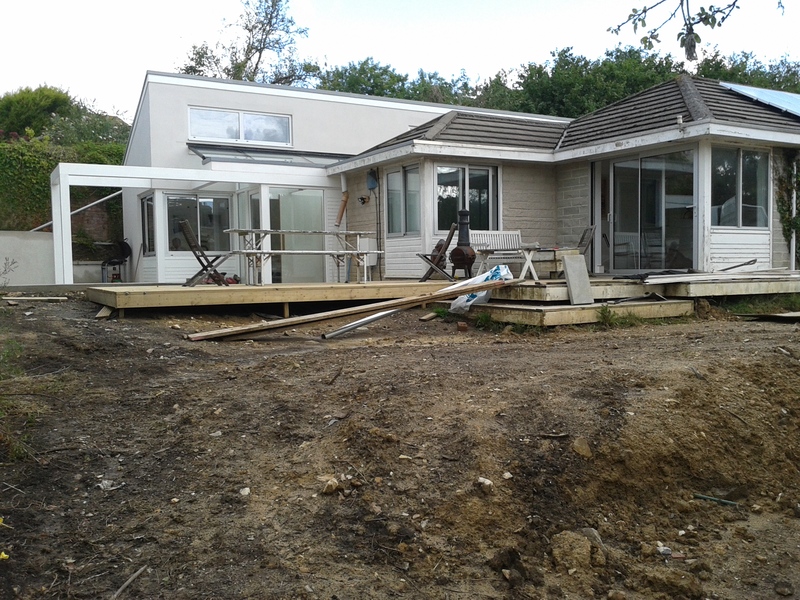 This project involved designing and re-shaping the site around the new extension to an existing house. 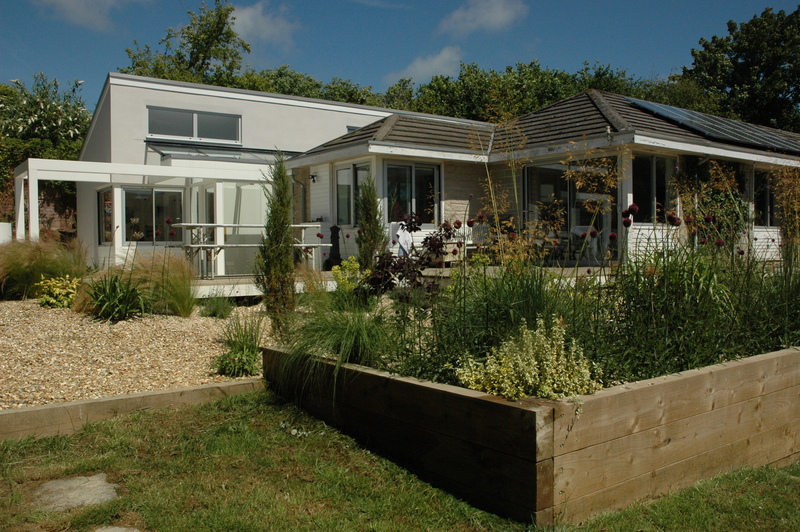 The client needed both hard landscaping and planting that would sit comfortably with the modern architectural style of the building. 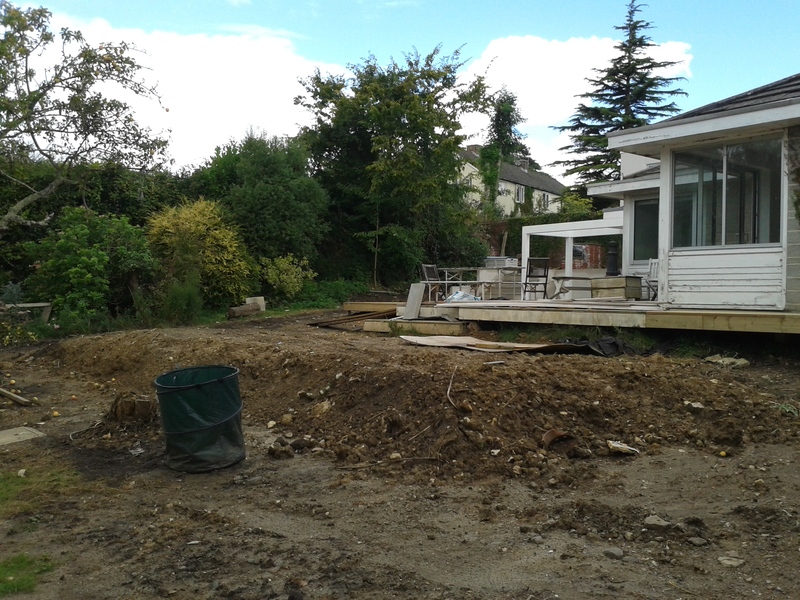 My design includes a large sunken patio area, to give a sense of air and space around the structural frame-posts that lead to the house entrance. 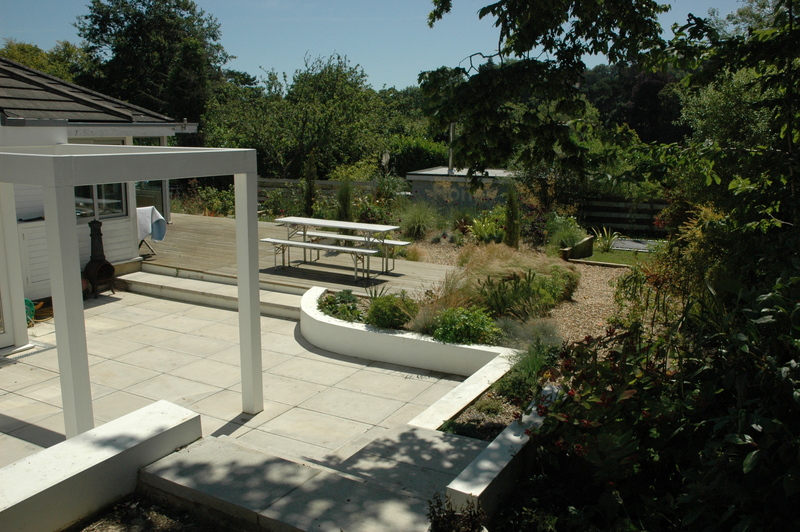 Wide steps are intended to create a relaxed and leisurely flow around the building, connecting the old part to the new. 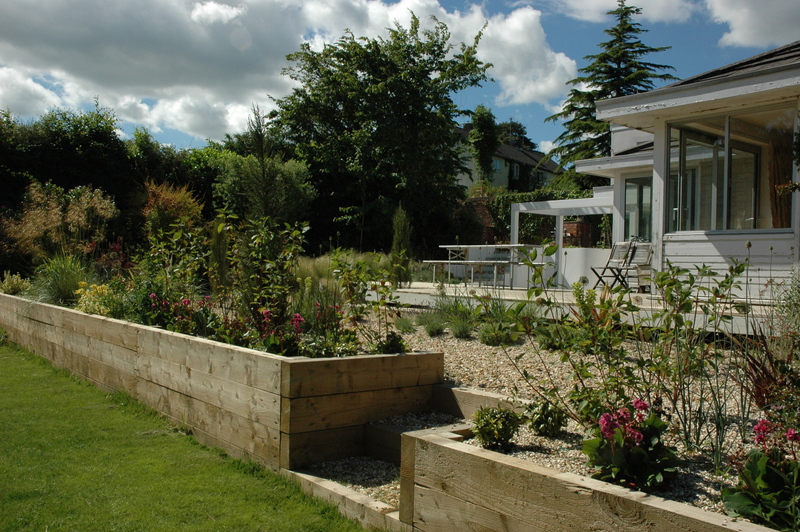 Curved walling is designed to soften and interrupt the rectilinear lines and edges, and to encourage the eye to ‘roam’ around the garden. 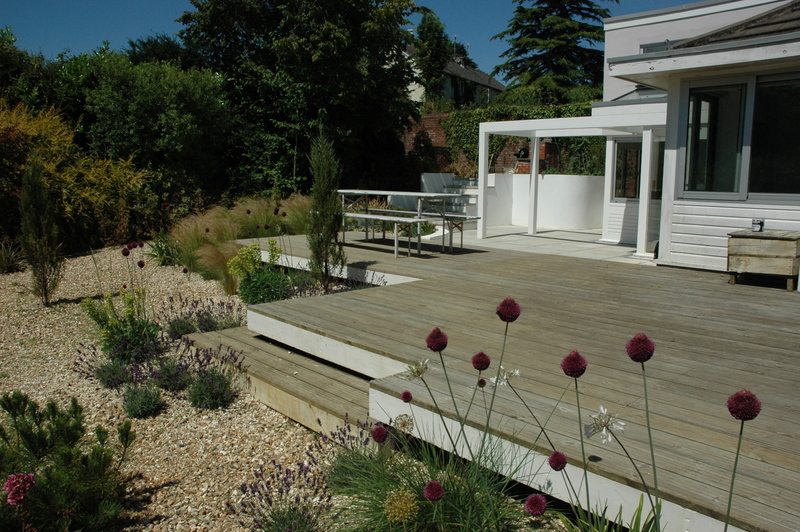 To deal with the slope, I created low terraces which replicate the right-angles and ‘returns’ around the house. 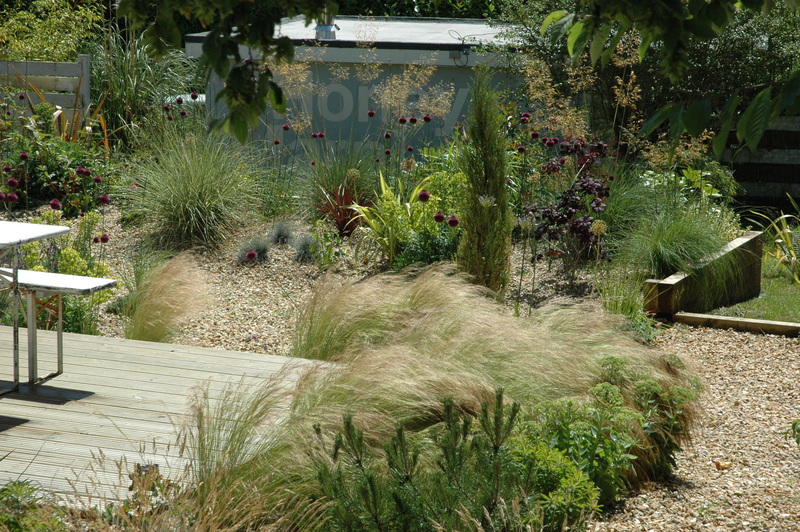 The clients had visited and loved Beth Chatto’s gravel garden and so I took some inspiration from the planting there…. 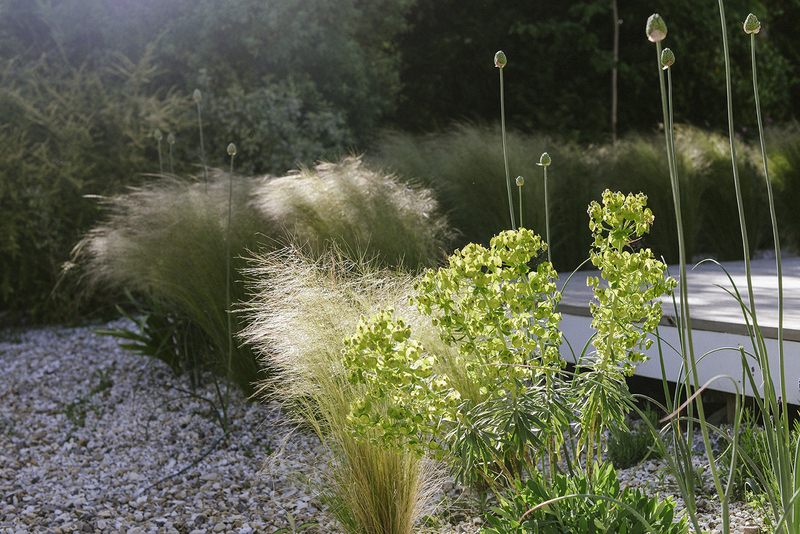 Grasses, euphorbias and phormiums are the bulk of the planting, while bulbs and flowers (agapantus, alliums, lavenders) and cornus provide seasonal colour. Juniper ‘Skyrocket’ conifers give height and structure. Next Here’s one I did earlier….